kulcha naan recipe | plain kulcha recipe | butter kulcha on tawa with detailed photo and video recipe. basically a type of flat bread recipe prepared mainly with all purpose flour and flavoured with black sesame seeds. it is a variation to the popular naan recipe or naan bread and hails from the punjabi cuisine. 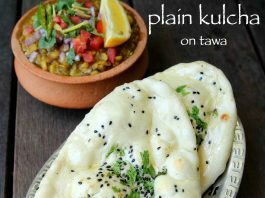 plain kulcha recipe is also a popular street food of punjab and is mainly served with matar kulcha or matar chole recipe. kulcha naan recipe | plain kulcha recipe | butter kulcha on tawa with step by step photo and video recipe. 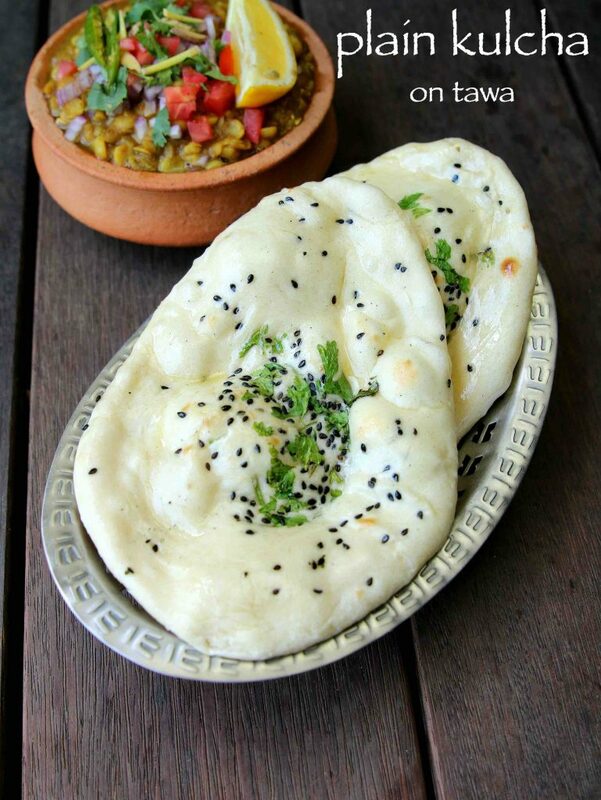 in punjab plain kulcha recipe is often served with matar chole recipe which is prepared with white peas. the combination of these 2 is often served for breakfast or for evening snacks as a street food. the preparation of kulcha naan recipe is very simple and all purpose flour or maida flour is used to prepare the dough. 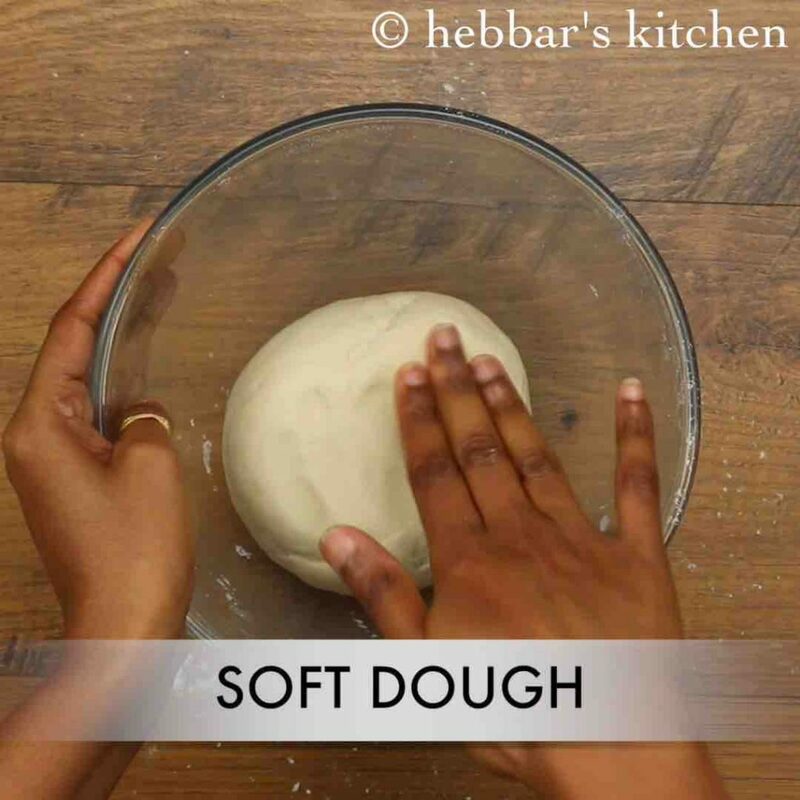 the dough can be mixed with warm water or milk or even yogurt to prepare a tight dough. 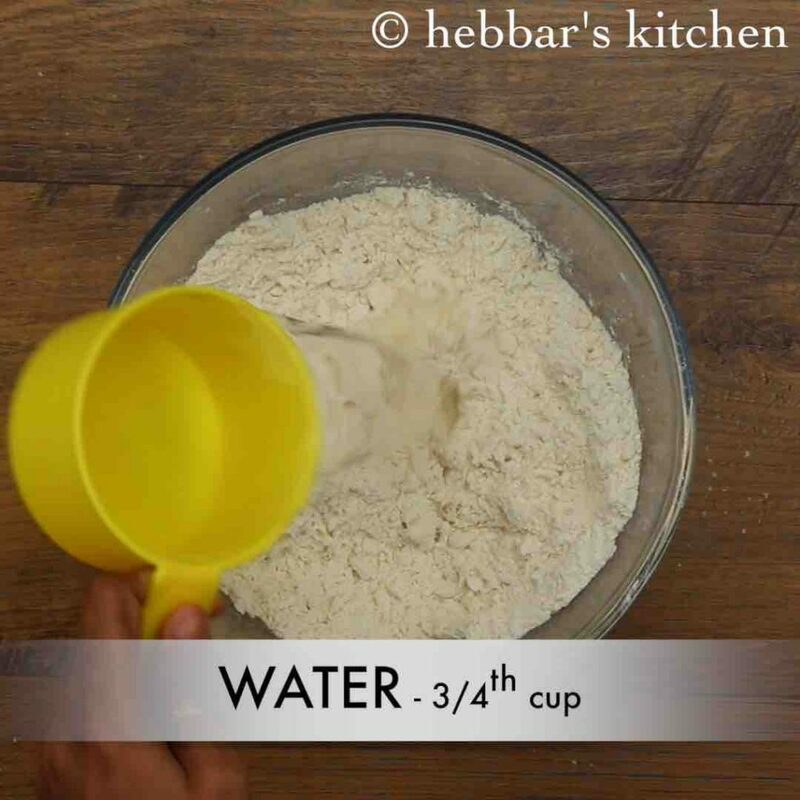 while kneading the dough leavening agent like baking powder, yeast or even old kulcha dough is added for fermentation. later it rolled thick either with help of hand or with a rolling pin. 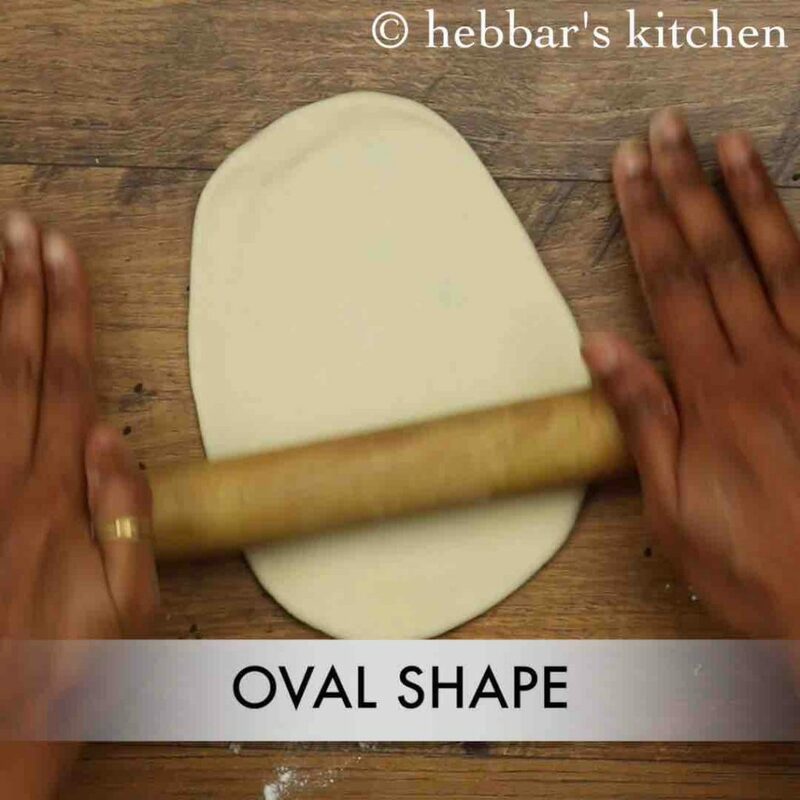 the shape is usually oval but can also be round or even square. later it is dusted with sesame seeds on one side and baked in tandoor oven. 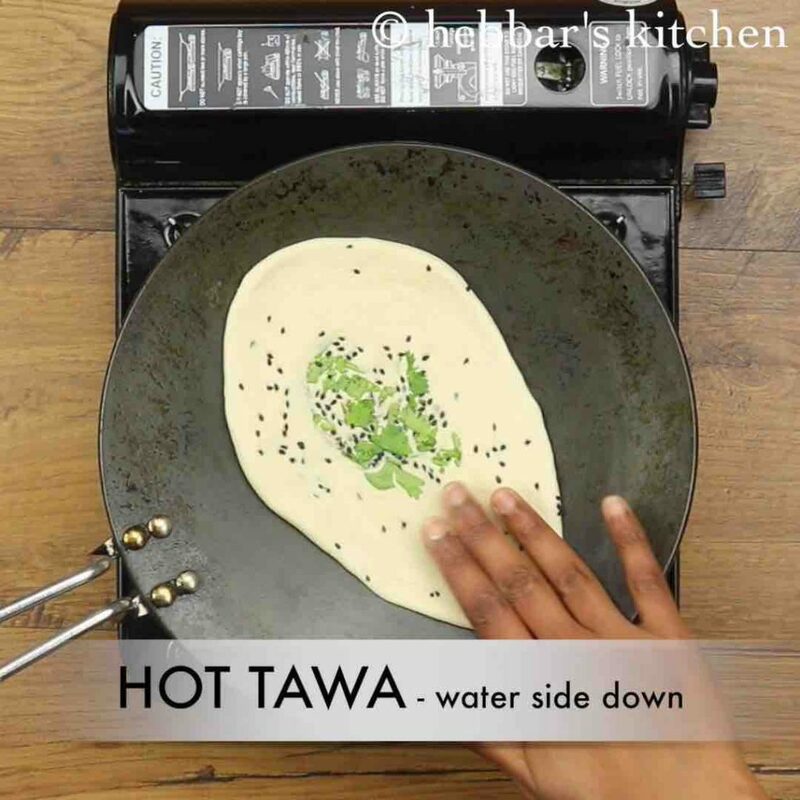 having said that i have used normal tawa using the upside down method. 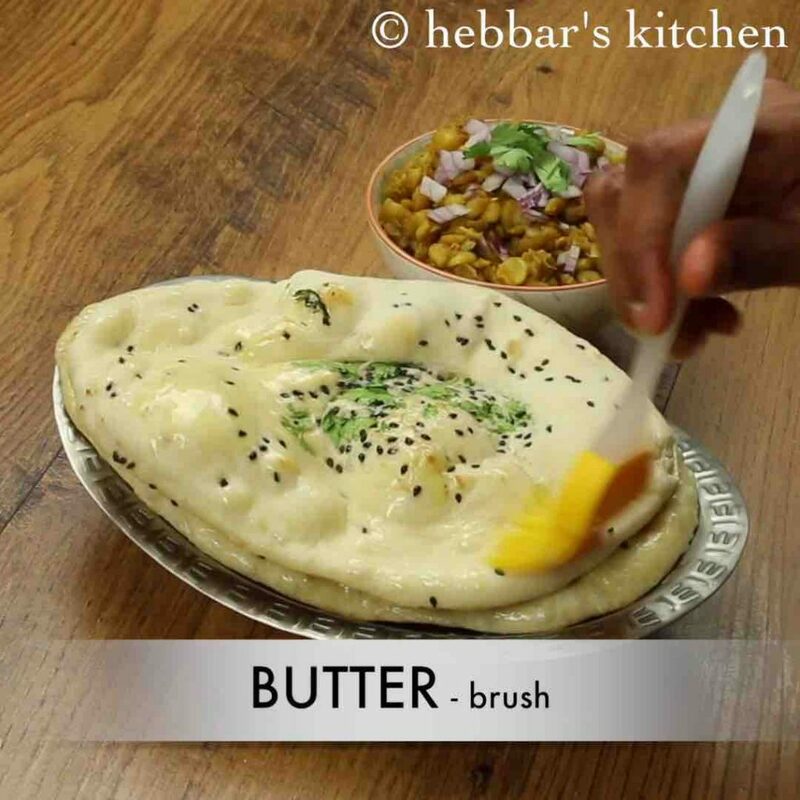 once it is cooked or baked, generous amount of butter or ghee is applied on top it to keep it moist. 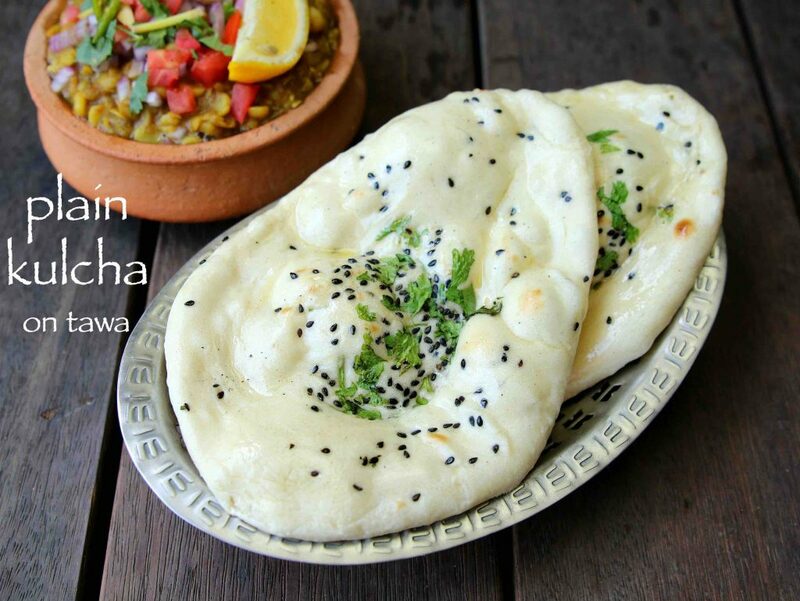 while the preparation of plain kulcha is very simple, yet some tips and suggestions for a perfect kulcha naan recipe. firstly, i would heavily recommend to use curd / yogurt to knead the dough. basically it helps to hasten the fermentation with better result. however ignore and use warm water if you are lactose intolerant. secondly, as alternative you can use wheat flour in the place of maida or all purpose flour if you are gluten allergic. but i personally feel maida is any-time a better option. lastly, serve these kulcha’s immediately when it is hot / warm. it turns out to be rubbery and chewy when served cold. 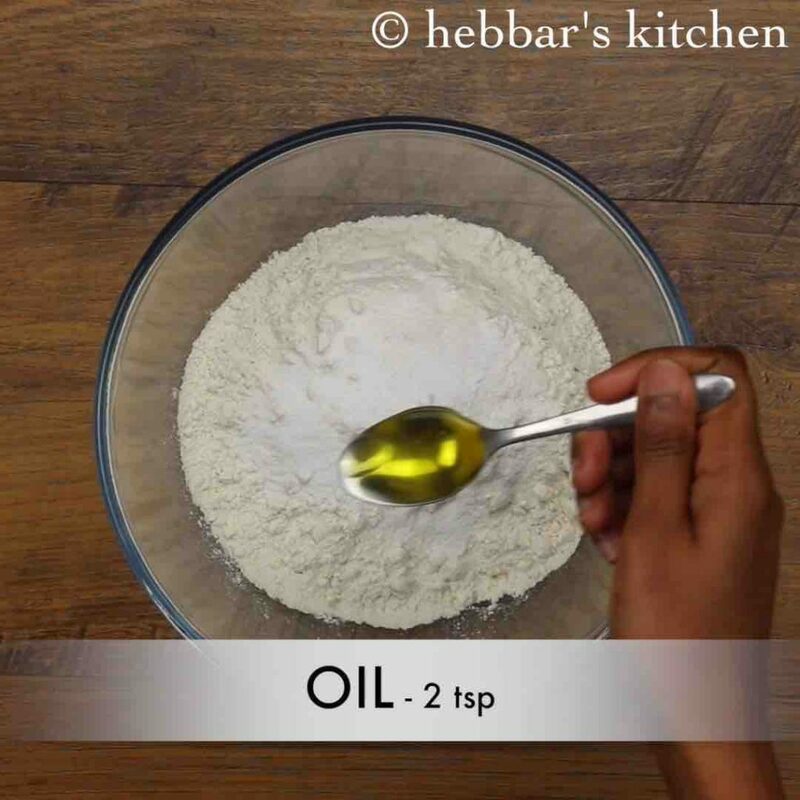 firstly, in a large mixing bowl take 2 cup maida, 1 tsp sugar, 1 tsp baking powder, ¼ tsp baking soda, ½ tsp salt and 2 tsp oil. 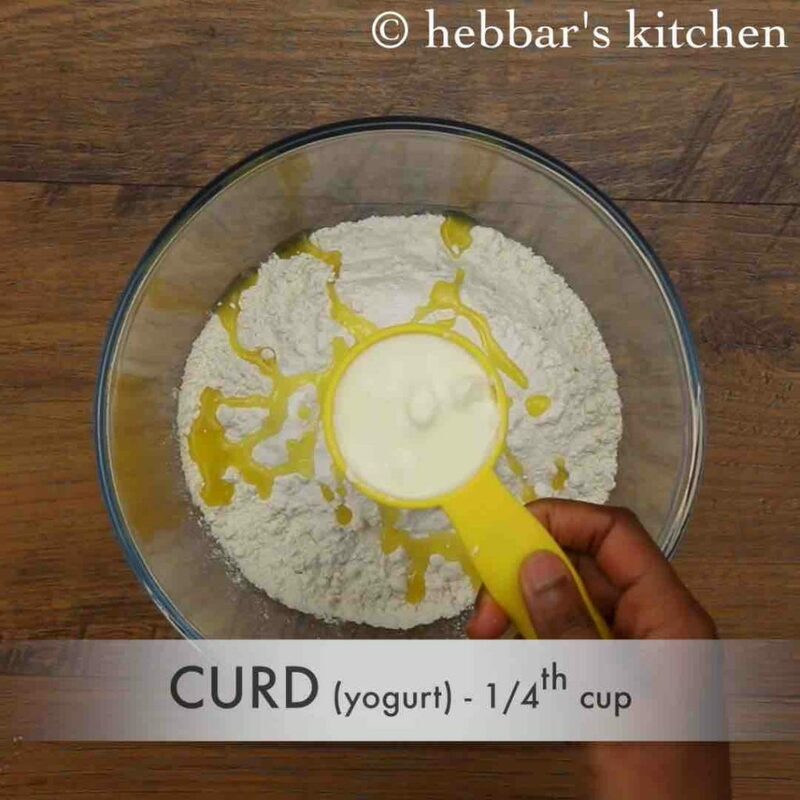 add in ¼ cup curd and mix well. 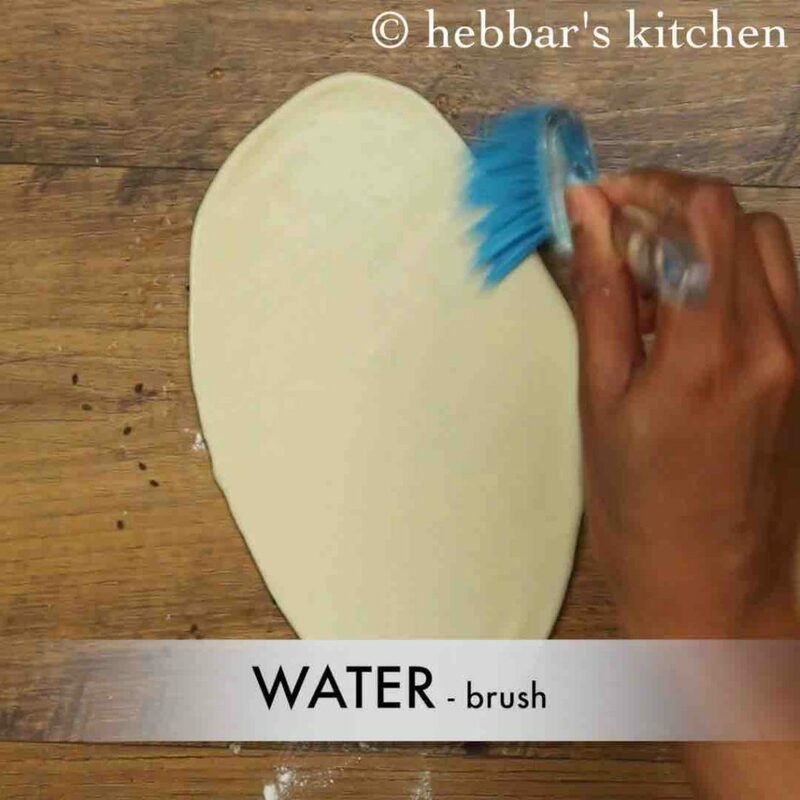 further add ¾ cup water or as required and knead dough. 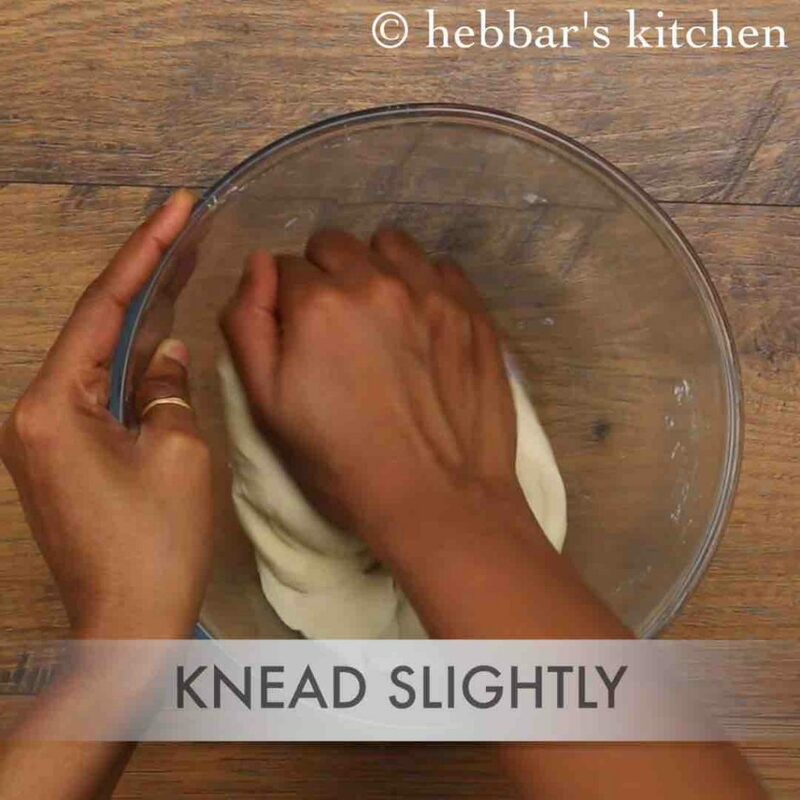 knead to smooth and soft dough adding more water if required. 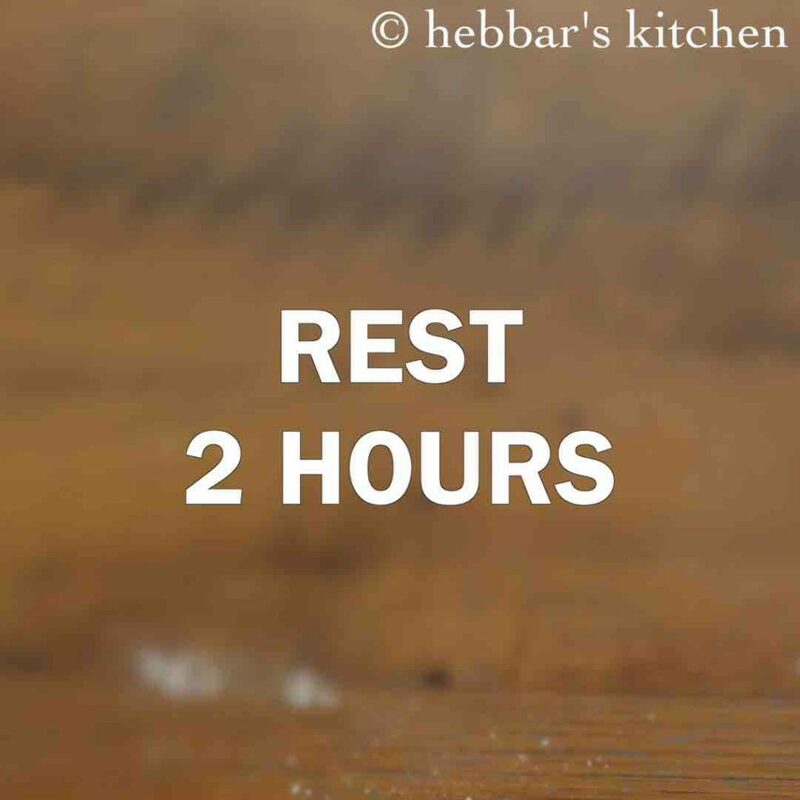 cover and rest for 2 hours or more. 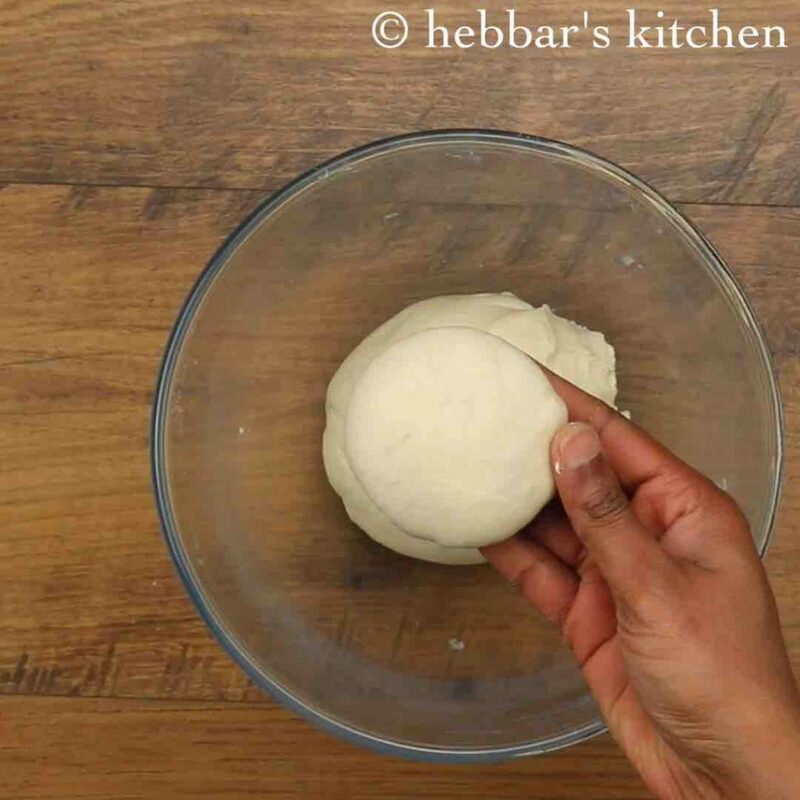 pinch a ball sized dough and flatten. 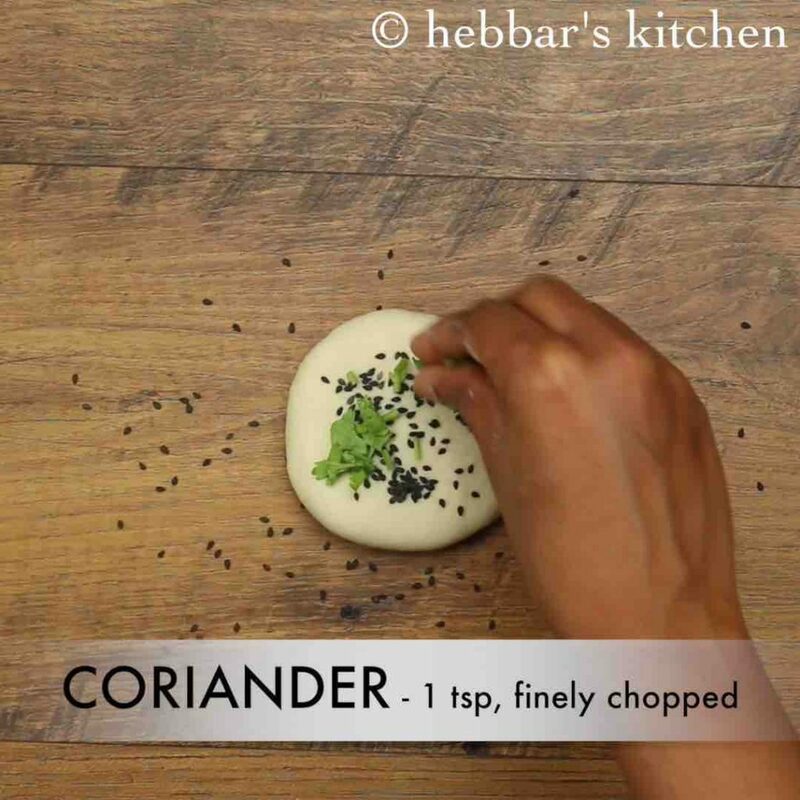 sprinkle some black sesame seeds and coriander leaves. 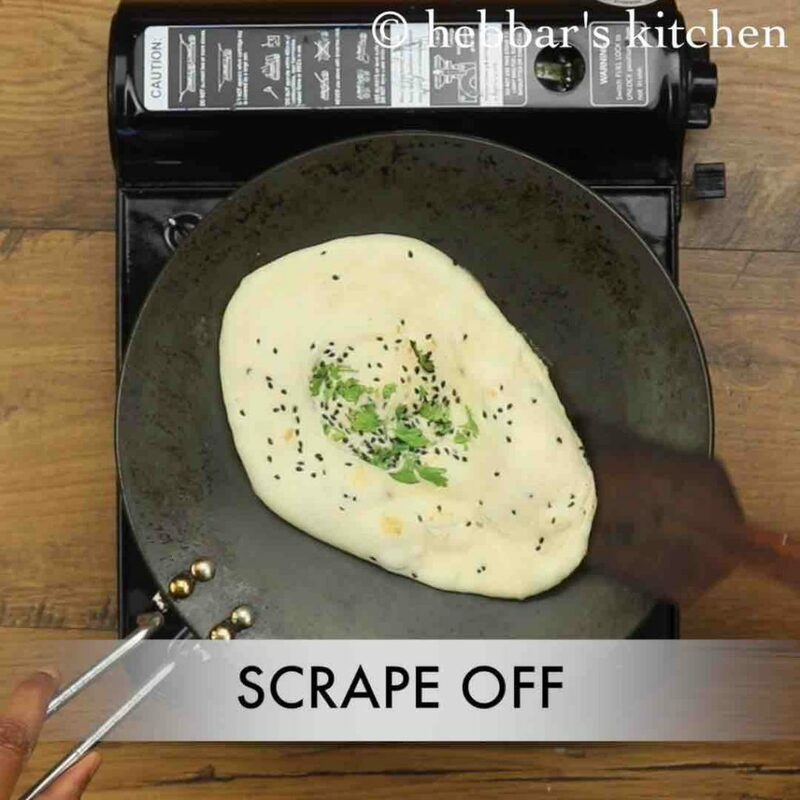 furthermore, slowly flip the kulcha and put it on hot tawa. 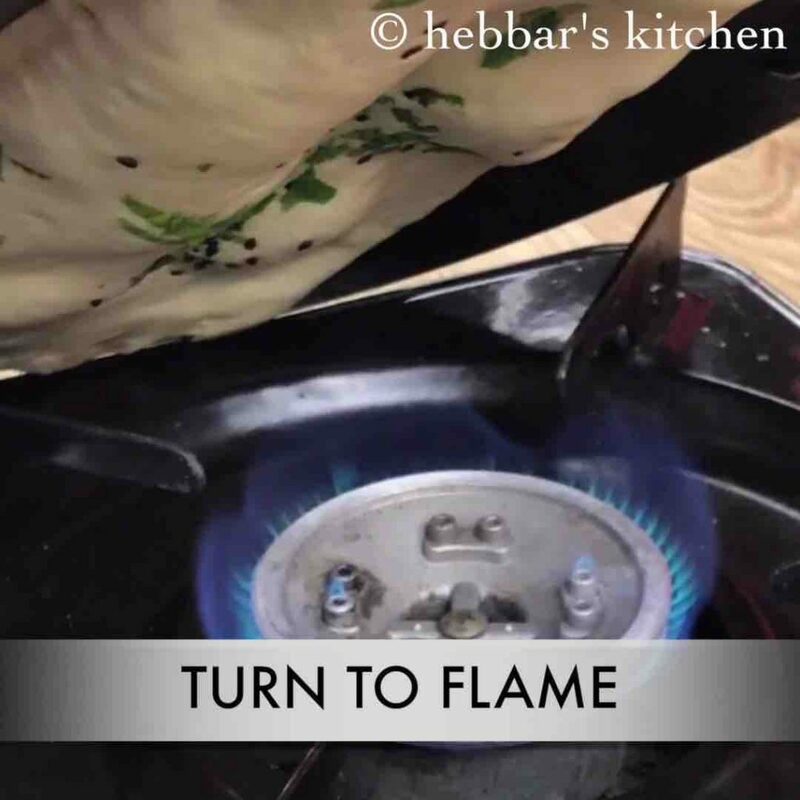 now after a minute, flip the tawa upside down and cook kulcha directly on flame till they turn golden brown and puffs up. gently scrape the kulcha from bottom and remove. finally, serve plain kulcha hot with your favourite curry like paneer butter masala. flip it over, making sure the coriander leaves and sesame seeds faces down. furthermore, slowly flip the kulcha and put it on hot tawa. remember, be gentle and put the water coated side down to tawa. also do not use nonstick tawa. 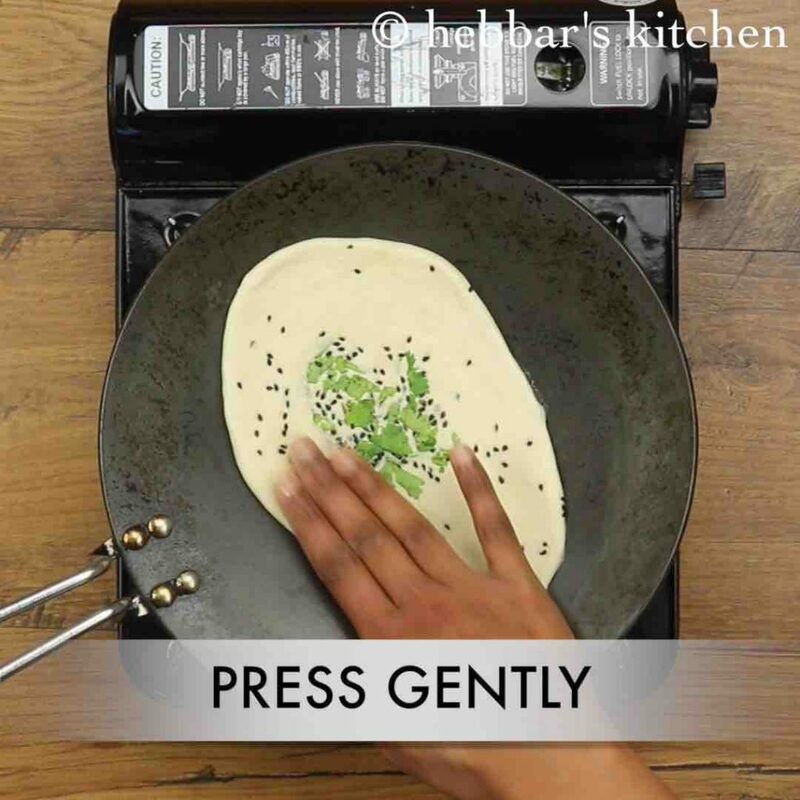 gently press the kulcha. 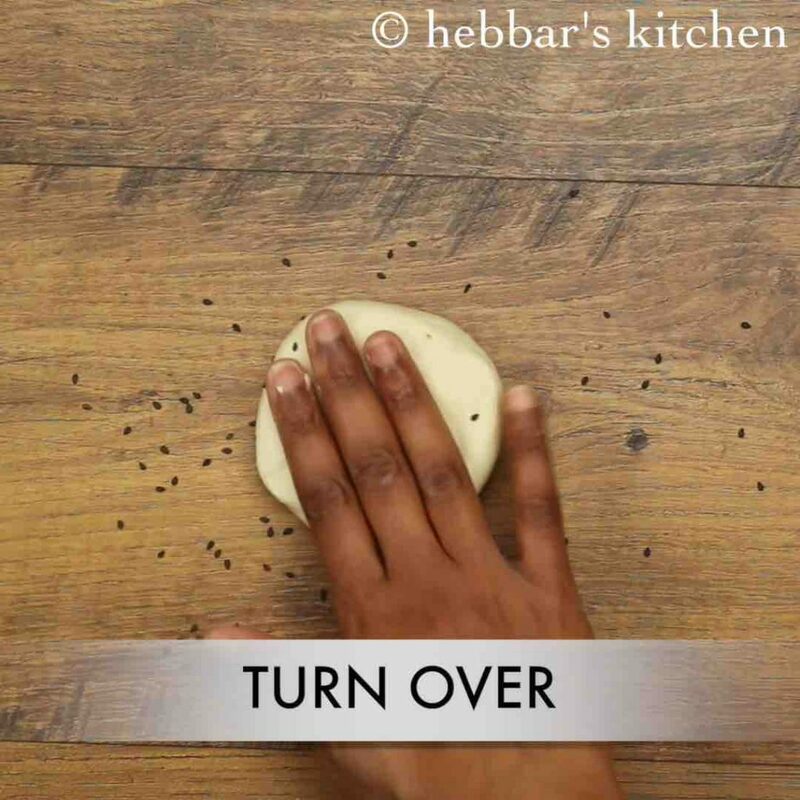 this helps the kulcha to stick on to the tawa and when you can flip the tawa upside down it will be intact. finally, serve kulcha naan recipe / plain kulcha hot with your favourite curry like paneer butter masala or matar chole recipe. also to prepare stuffed kulcha check out paneer kulcha recipe and aloo kulcha recipe. finally, plain kulcha / kulcha naan recipe taste great when served hot. can i use yeast for making it fast?? can i use this dough for pizza base and bake it in convection mode ?